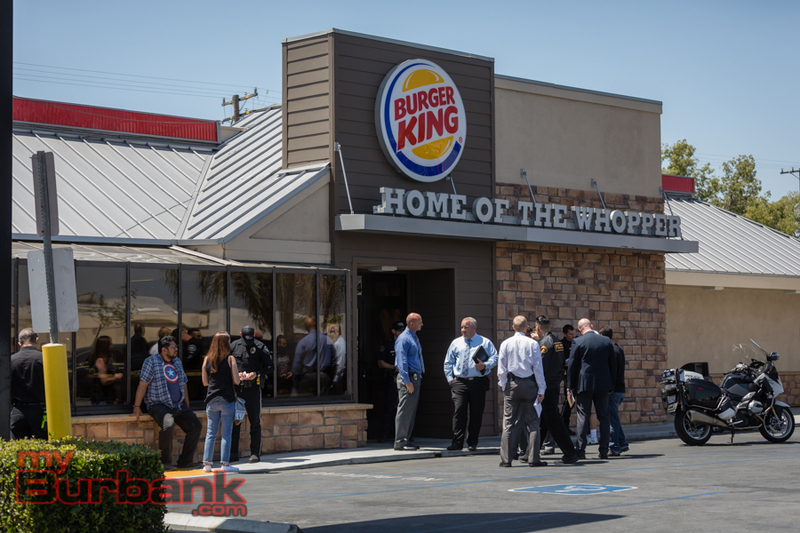 Per Sgt Derek Green of the Burbank Police, he reports earlier this evening the suspect from this morning’s stabbing at Burger King has passed away as a result of his injuries he sustained during his attack of an elderly victim inside the restaurant. The suspect has since been identified as James Rey Richard Kagaoan, a 36-year-old transient with the last reported address in Sun Valley. The victim is recovering and expected to survive. 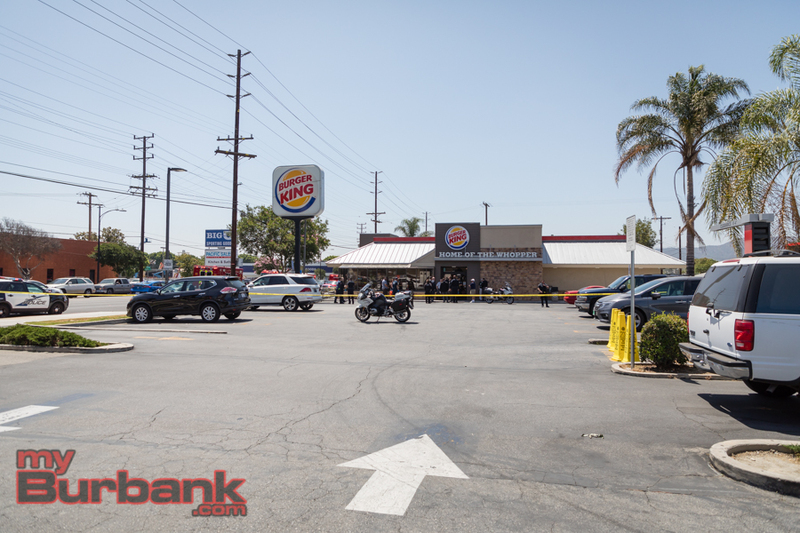 On Tuesday, June 19 at 11:03 a.m., Burbank Police responded to a call regarding an assault with a deadly weapon in progress at Burger King, located at 545 N. Victory Blvd. When police officers arrived on the scene, they found two men with stab wounds. 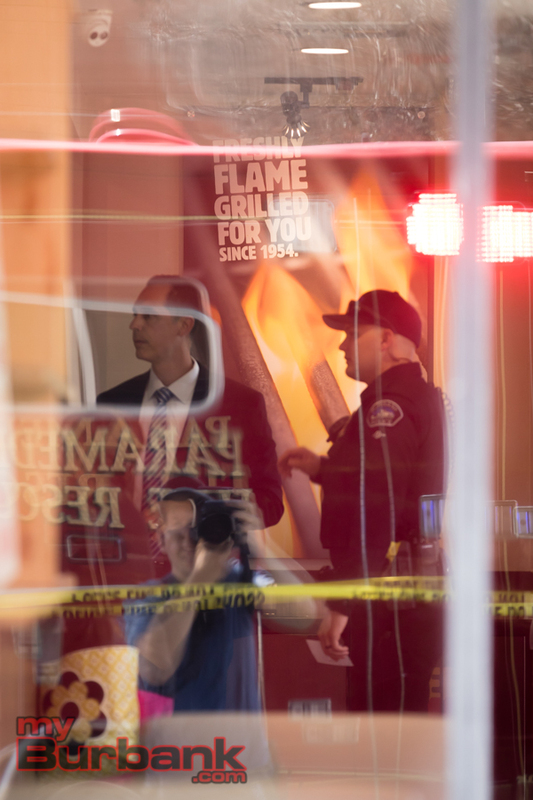 After detectives began their investigation, they learned that an elderly man and two acquaintances had been seated in the fast food restaurant when a male suspect came inside with a knife and stabbed the victim. While the victim was being stabbed, another patron intervened and started to struggle with the suspect. During the struggle, the suspect suffered multiple stab wounds. The suspect was transported to Providence St. Joseph Medical Center with possible life-threatening injuries. The victim who received injuries considered to be minor and not life-threatening was also taken to a local trauma center. The patron who struggled with the suspect did not receive any injuries and was not emitted to a hospital. At the moment, this attack appears to be random and unprovoked. Witnesses believe the suspect may be homeless and mentally unstable. The Burbank Police Department is still investigating the incident, anyone with information is encouraged to contact the Burbank Police Department Investigations Division, at (818) 238-3210. This entry was posted in Crime, Crime Report, News, Police, Police and Fire and tagged arrest, Burbank Police, Burger King, homeless, Stabbing, victory blvd on June 19, 2018 by Timothy Mably. A Valencia man was sentenced today to 12 years and six months in state prison for stabbing his exgirlfriend’s mother and her roommate at a Burbank home, the Los Angeles County District Attorney’s Office announced. Deputy District Attorney Carolina Lugo said Cameron Reed Hansen, 31, was found guilty on March 8 of two counts of attempted voluntary manslaughter and one count of injuring a girlfriend. The jury also found that Hansen was armed with a knife and caused great bodily injury. On March 3, 2015, the defendant went to his ex-girlfriend’s home a day after they broke up and began attacking and biting her, according to court testimony. When her mother and her roommate came to the victim’s aid, Hansen stabbed both women multiple times, the prosecutor said. The three victims survived the attack. This entry was posted in News and tagged District Attourney, Stabbing on July 13, 2017 by Craig Sherwood. 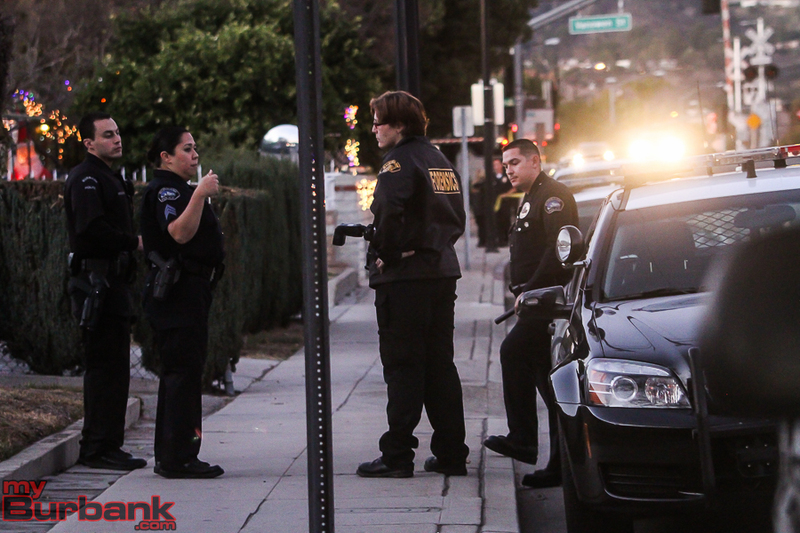 Burbank police were called to San Jose and Sixth St. Tuesday night around 9:25 for a report of a man that had been stabbed. Police and paramedics arrived on scene to find the man with numerous stab wounds to the body. A small black compact car was seen leaving the area with a Hispanic male and two females. Shortly after police arrived at the first scene, they were then called to the McCambridge Park Recreation Center where a man covered with blood was inside one of the restrooms. Police arrived on the scene and found him in the woman’s restroom where they took him into custody without incident. Paramedics were called to the scene where they treated the man at the scene.
. He has been identified as 18 year-old Brandon Benavides of Burbank. Based on evidence, statements and the close proximity of time and locations, the officers determined Benavides was the person who stabbed the victim found on San Jose Avenue. 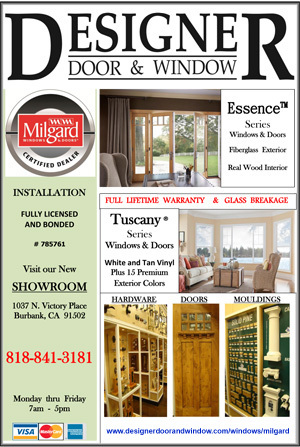 He was placed under arrest and booked into the Burbank City Jail for attempt murder. Benavides is being held in-lieu of $1,000,000 bail. He is due to appear in court Thursday, July 18. 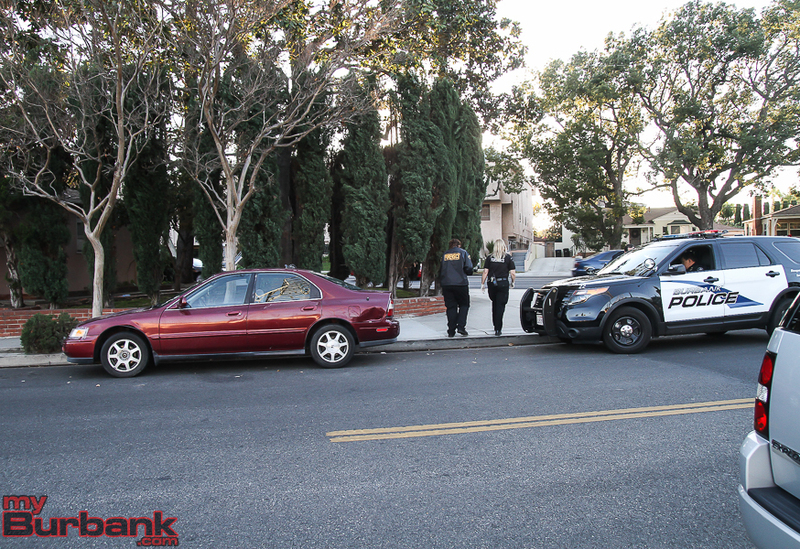 It did not appear the victim had been stabbed on San Jose Avenue or at McCambridge Park. This morning investigators were able to locate the crime scene in the flood control basin above Bel Aire Ball Field, 1750 N. Bel Aire Drive. They were able to collect evidence at the scene. Interviews with witnesses are on-going as is this investigation. Anyone who was present or has information related to this incident is urged to contact Detective Adam Baumgarten at (818) 238-3210. If you wish to remain anonymous, you can call “LA Crime Stoppers” by dialing 800-222-TIPS (8477); use your smartphone by downloading the “P3 MOBILE APP” or by using the website http://lacrimestoppers.org. 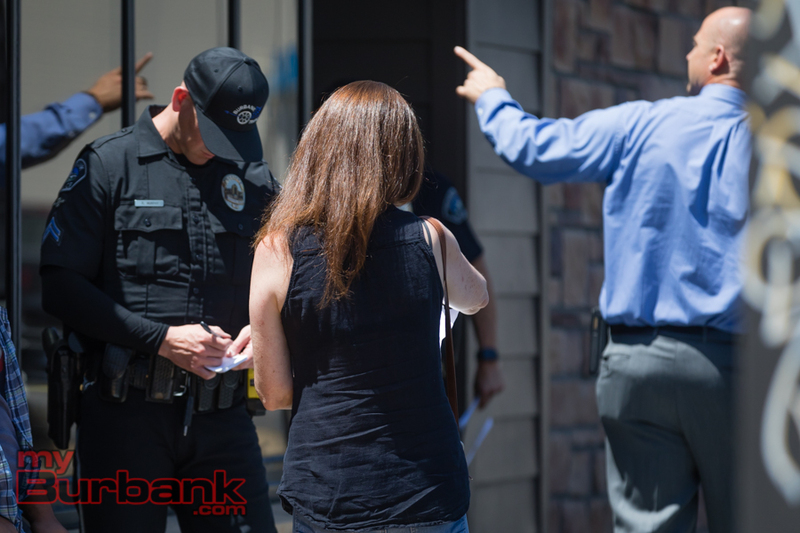 This entry was posted in News, Police and tagged Burbank Police Department, Stabbing on August 17, 2016 by Craig Sherwood. 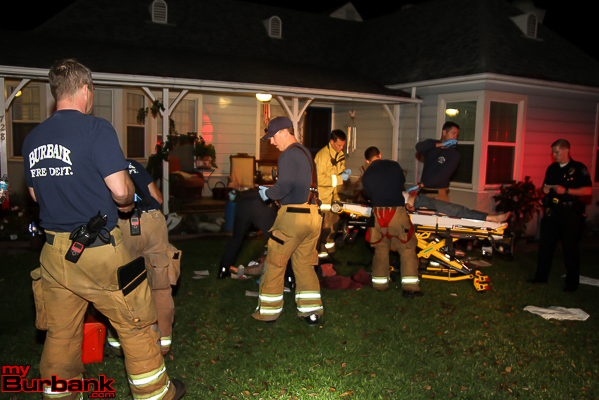 Burbank Police Officers were called along with Burbank Fire Department Paramedics to the 200 block of N. First St. for a report of a man bleeding from his head Monday night round 10:35 pm. Upon arrival, the officers and paramedics located a 40 year-old male suffering from apparent major stab wounds to his head, neck and torso. The victim was unresponsive and was transported to a local hospital, where he underwent surgery and is now listed in critical condition. 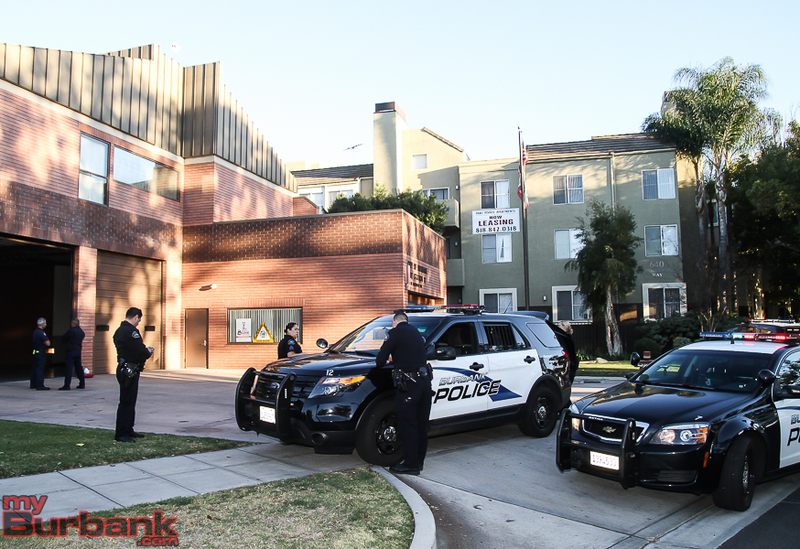 Burbank Police Detectives were called and responded to the scene where they found the victim got into an altercation with a male and female on the First St. sidewalk, between Palm Ave. and Orange Grove Ave. The altercation became physical and spilled out onto the roadway, before bystanders intervened and broke up the fight. The parties separated and walked away from the scene. 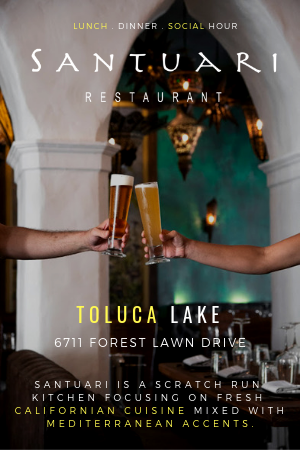 The man and woman, who have not been identified, were last seen walking south on First St.
Investigators would like to speak with the man and woman involved in the fight. The male is described as white or Hispanic, 25 to 35 years old, with dark short hair. The female is described as Hispanic, about 25 years old, with long curly hair. The weapon used in this incident has not been recovered. Anyone with information related to this incident is asked to contact Burbank Police Detective Henry Garay at (818) 238-3210 or call Crime Stoppers at 800-222-TIPS (8477) to remain anonymous. 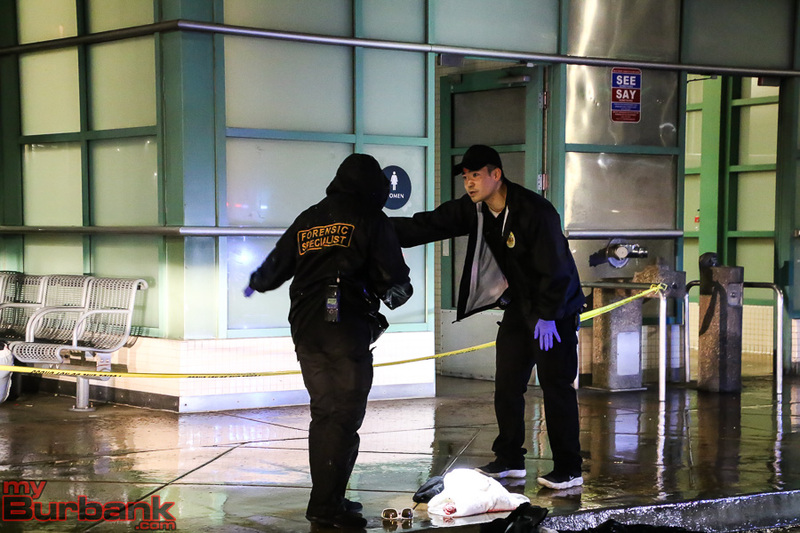 This entry was posted in News, Police and tagged Burbank Police Department, Stabbing on March 15, 2016 by Craig Sherwood. On , Burbank Police Officers responded to the 1600 block of N. Pepper Street on Tuesday, January 25, at about 11:10pm, to a report of an assault with a deadly weapon that just occurred, with the weapon reportedly being a knife. When officers arrived, they found a 23 year-old male victim bleeding profusely from multiple apparent stab wounds to his torso and left arm. Two other adults were contacted at the scene, a 23 year-old female and her boyfriend, 22 year-old John Benne of Burbank. 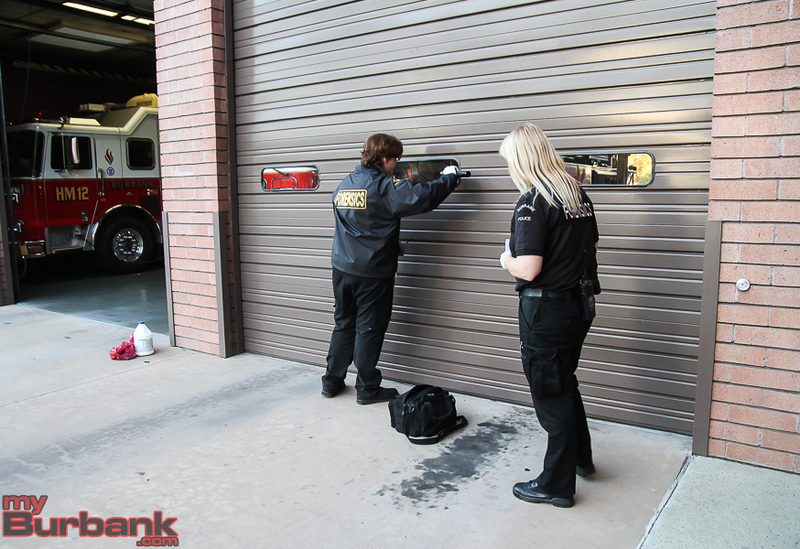 The woman and Benne had been involved in a physical domestic violence related incident earlier in the day. During that altercation, Benne reportedly pushed his girlfriend to the ground. The unidentified woman told officers that later in the evening she decided to bring some belongings to Benne at his home on N. Pepper Street. She also wanted to talk to him about their relationship. She had brought a male friend with her because she was fearful Benne would harm her. A confrontation between the male friend and Benne took place in the street. During the altercation, Benne stabbed the victim several times with a knife. The victim was transported to a local hospital, where he underwent surgery and is listed in serious, but stable condition. He is expected to survive. A large “Bowie” style knife, with blood on it, was located near the scene of the altercation. Benne, who suffered cuts to his hand and leg during the altercation, was arrested for attempt murder and two outstanding misdemeanor theft warrants. He was booked into the Burbank City Jail on $1,036,000 bail after being treated for his injuries and medically cleared. 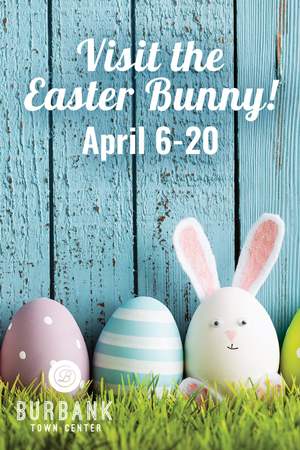 He is due to appear in the Burbank Branch of the Los Angeles Superior Court on Wednesday morning. The investigation into this case is on-going. Anyone with information is asked to contact Detective Henry Garay at (818) 238-3264. 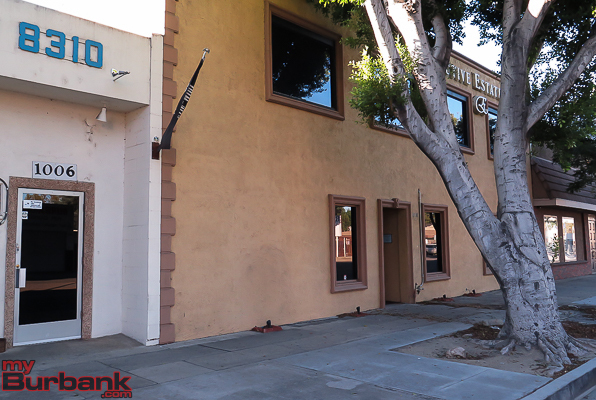 This entry was posted in News, Police and tagged Burbank Police Department, Pepper Street, Stabbing on January 26, 2016 by Craig Sherwood. 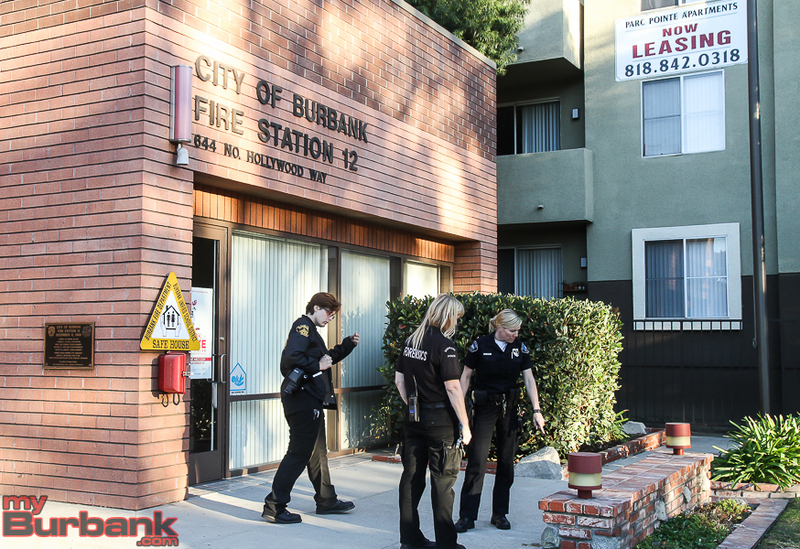 Burbank Police Officers were called to an apartment in the 200 block of West Valencia Avenue Thursday afternoon regarding a male who was on a balcony bleeding. Once they arrived, officers found a 17 year-old male juvenile bleeding from several stab wounds to an arm and upper torso. 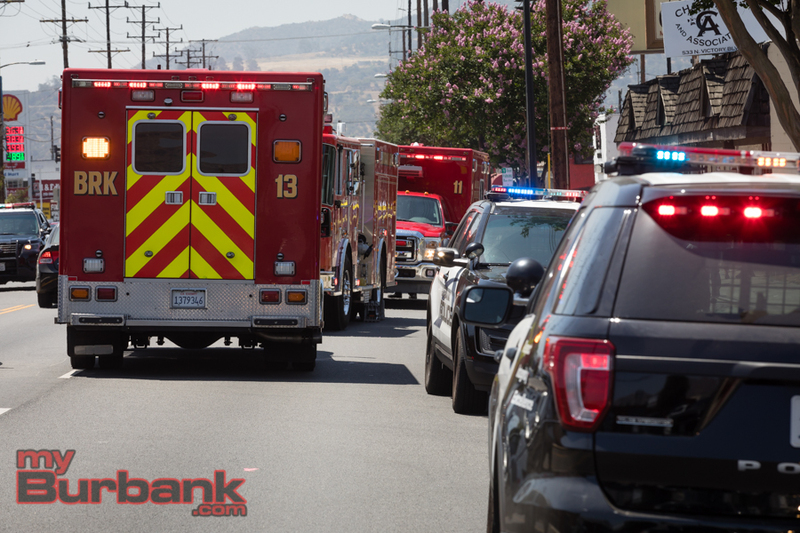 The juvenile was treated at the scene by Burbank Fire Department Paramedics and transported to a local hospital, where he is listed in stable condition. A 17 year-old female, who was interviewed at the scene and identified as the victim’s girlfriend, was subsequently arrested for assault with a deadly weapon and felony domestic violence. 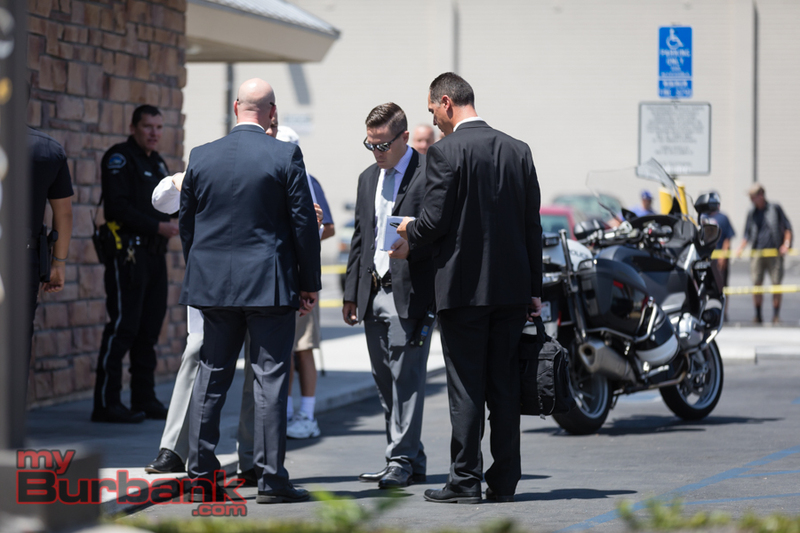 Burbank Police Detectives responded to the scene were they collected evidence and interviewed potential witnesses. Both the victim and suspect in this case were not identified since they are juveniles. 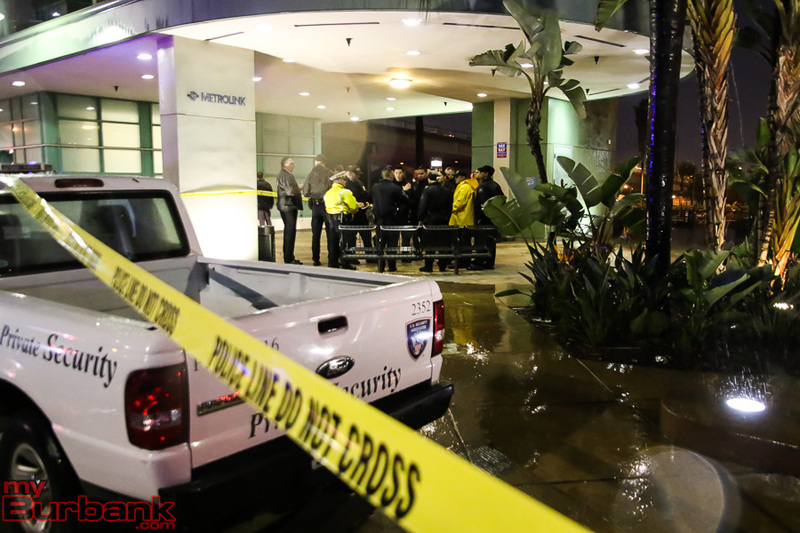 This entry was posted in News, Police and tagged Burbank Police Department, Stabbing on January 15, 2016 by Craig Sherwood. 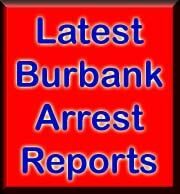 Burbank police have announced that they have arrested three men involved in the gang related stabbing that occurred on Buena Vista on Wednesday. 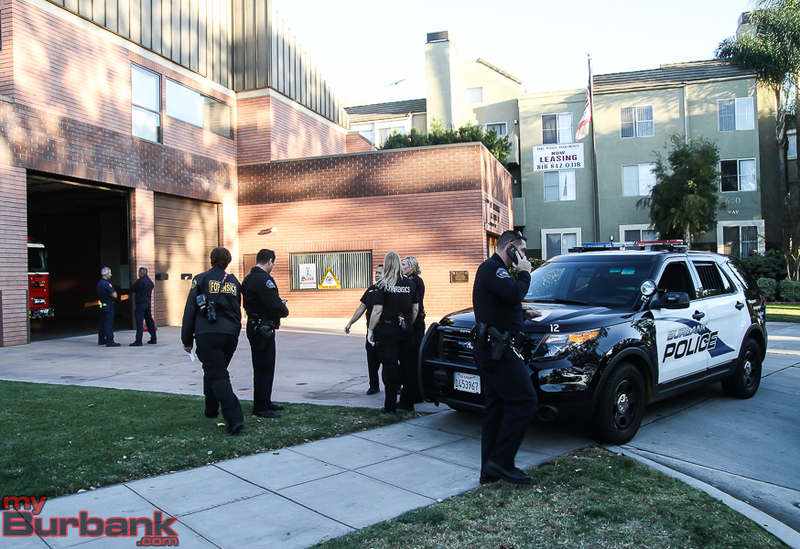 On Wednesday afternoon, December 16,, at about 3:10pm Burbank Police Officers responded to the 600 block of Hollywood Way after being called about someone walking down the street bleeding. 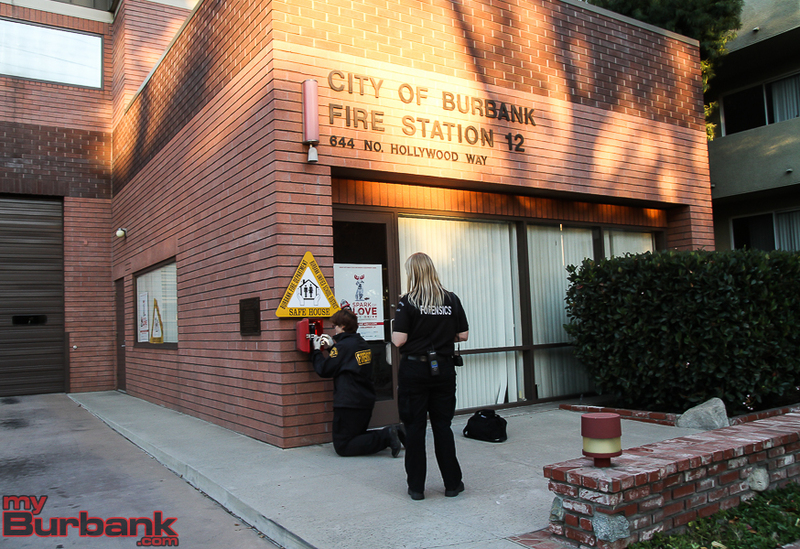 The two men had made their way to Burbank Fire Station 12 on Hollywood Way where they were calling for help when police arrived. 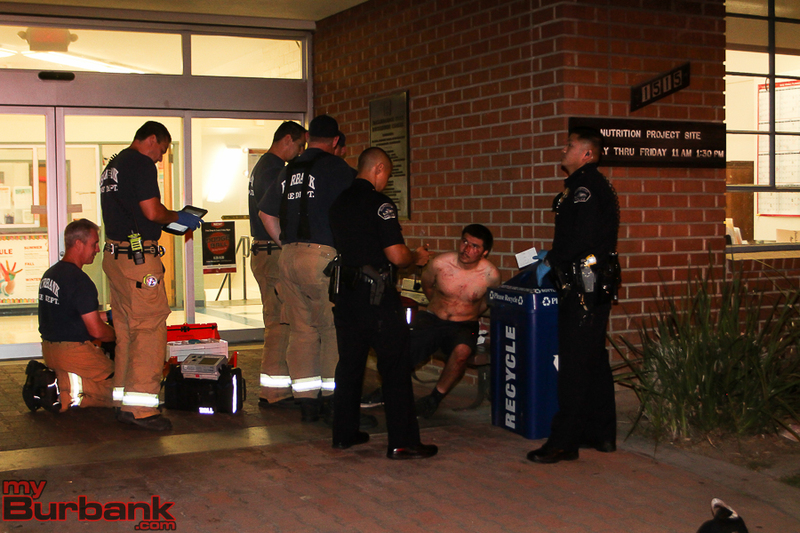 Officers found a 23 year old Burbank resident suffering from several stab wounds to his torso, neck and head. The victim and an associate who was with him, were uncooperative with officers and investigators. Officers were able to locate crime scenes at Lundigan Park (2701 Thornton Avenue) and in the 1800 block of N. Buena Vista Street, over two miles away. Evidence at the scenes included a bloody knife and a baseball bat. Investigators have been able to identify several individuals, all known gang members or associates, who were involved in the fight. There are outstanding identified suspects, which detectives are working to locate and arrest. The arrested individuals are 21 year-old Maximo De Los Santos Jr. of Burbank, 24 year-old Paul Melendez of Sun Valley and 30 year-old Joshua Pimentel of Burbank. Charges include assault with a deadly weapon and fighting in public.Police did not identify which gang the suspects were associated with. 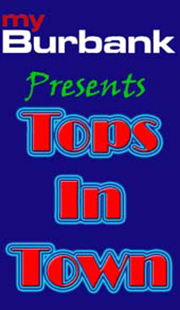 All of the arrest charges include gang enhancements, which specify the crimes were committed for the benefit of or in association with a criminal street gang. Bail ranges from $40,000 to $105,000 for each suspect. All are due to appear in court on Monday morning. The individual found suffering from the stab wounds on remains hospitalized in serious, but stable condition. This is still an on-going investigation, anyone with information regarding this incident is urged to contact Detective Mike Edwards at (818) 238-3210. This entry was posted in Arrest Reports, News, Police and tagged Burbank Police Department, Stabbing on December 18, 2015 by Craig Sherwood. 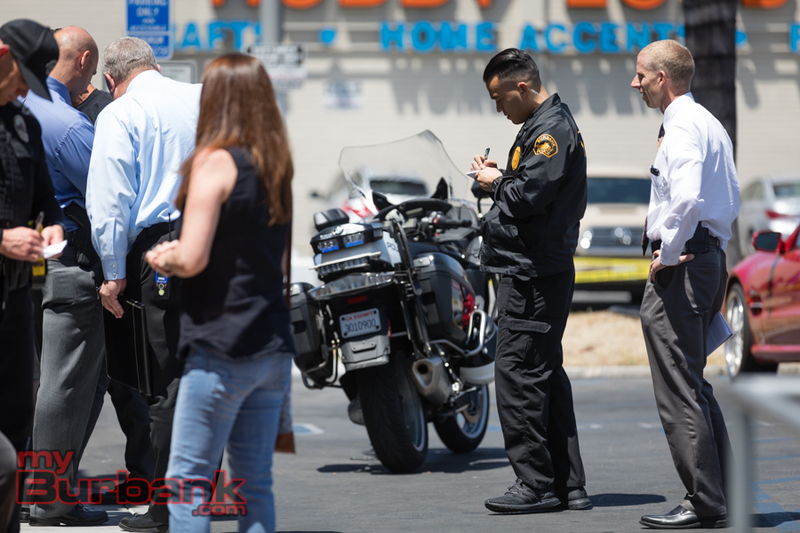 Burbank Police are investigating a stabbing that they believed took place in the 1800 block of Buena Vista Wednesday afternoon around 3:10 pm. Police were called by a citizen who reported seeing two males walking in the 600 block of Hollywood Way, one bleeding from the neck. 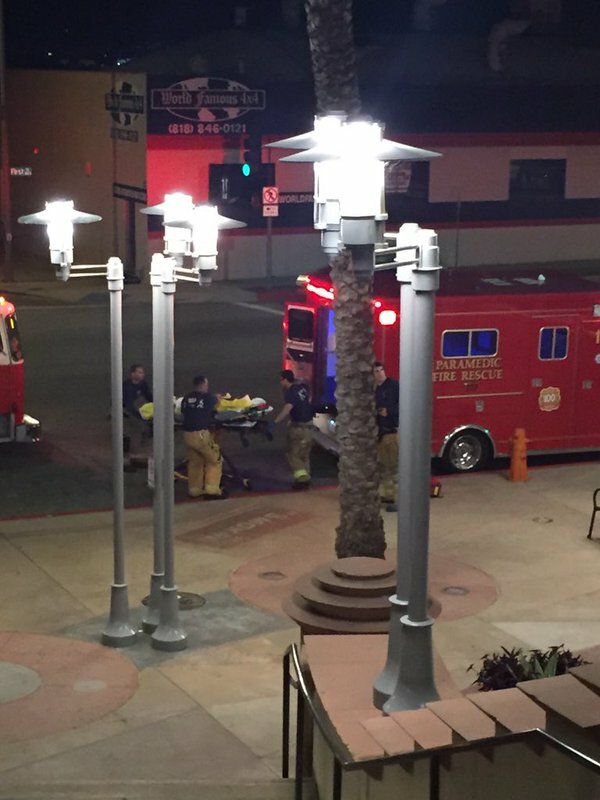 It appeared they were walking toward Burbank Fire Station 12 on Hollywood Way for assistance. Crews of both Engine and Truck 12 were not present at the station since they were at a training assignment at another nearby station. The victim picked up the emergency phone located outside of the station where he asked for help from paramedics. When responding officers arrived on the scene, they found one male, 23 years of age, suffering from an apparent stab wound to the neck. It appears the stabbing victim was driven to the area by an associate. Officers later located the crime scene in the 1800 block of N. Buena Vista Street, which is more than two miles from where we located the victim. Investigators are at both scenes collecting evidence and searching for witnesses. The victim was taken to an area hospital in serious condition. 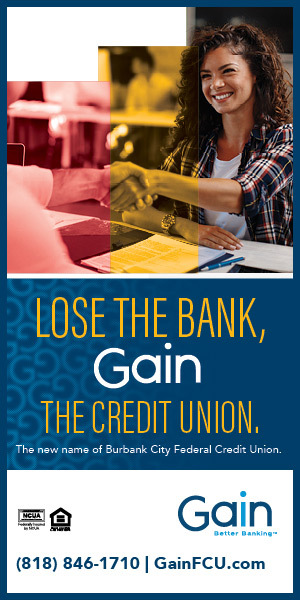 Burbank police that this incident appears to be gang related and not a random act of violence. This entry was posted in News, Police and tagged Burbank Police Department, Stabbing on December 16, 2015 by Craig Sherwood. On October 31, at about 4:30 pm, officers responded to the area Florence Street and Chandler Boulevard regarding a possible stabbing. Upon arrival, the officers found a 44 year-old male suffering from a stab wound to the upper the body who was transported to a local hospital by paramedics where he underwent surgery. Officers were able to locate the scene of the stabbing in the 1000 block of W. Magnolia Boulevard, about a mile and a half from where the victim was found. 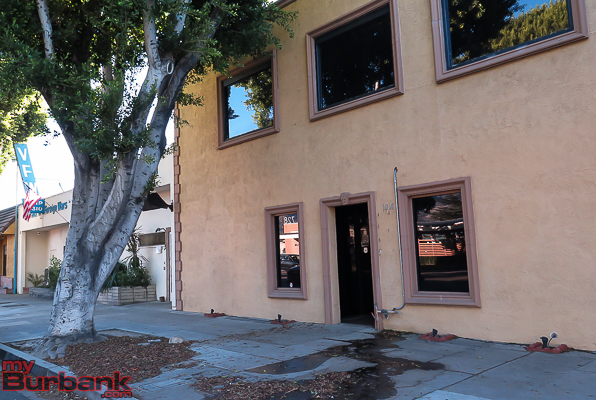 Burbank Police investigators served a search warrant early Sunday morning at this location in an attempt to recover evidence. 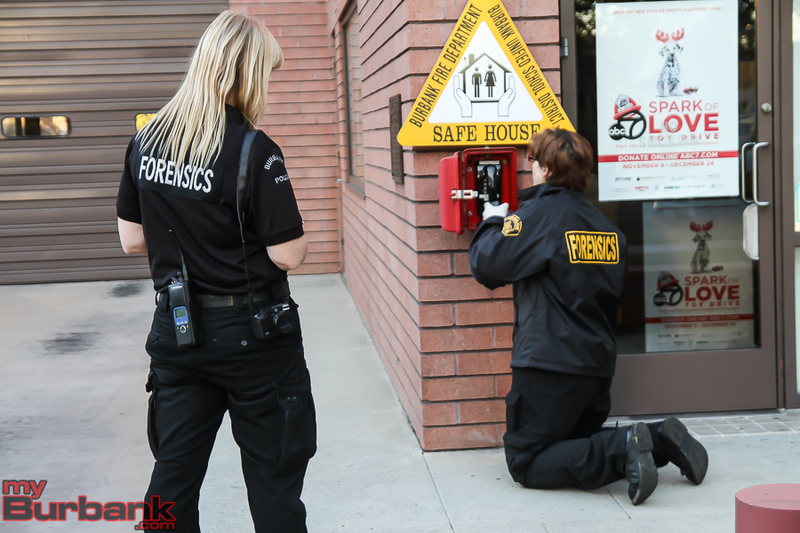 During the investigation, a male came to the Burbank Police Station and told investigators he was involved in an altercation with the stabbing victim. He was interviewed and released, pending further investigation. Anyone with information on this case is asked to contact Burbank Police Detectives at (818) 238-3210. 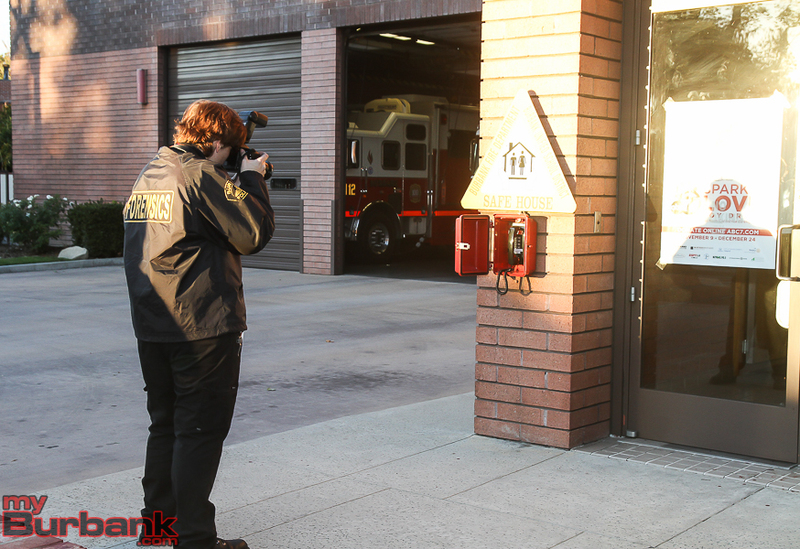 This entry was posted in News, Police and tagged Burbank Police Department, Stabbing on November 2, 2015 by Craig Sherwood.